Why are we not supposed to wear white after Labor Day? A quick search on Google provides many, varying answers, but there is only one answer that matters to me: after this weekend, I&apos;ll only be needing my red and black, because football season is coming! Fortunately, we have a holiday weekend before then, and if you&apos;re like me, you are looking forward to a great weekend of fun and relaxation. Where better to spend such a weekend than in Athens, GA? The Classic City has a variety of awesome events going on, and no matter what your interests are, there is something for you! 1. Do you love bluegrass and Americana music? If so, be sure to check out the Del YEAH! Festival on Friday, Sept. 2nd. For $20, you can enjoy an amazing lineup of musicians such as The Welfare Liners, the David Mayfield Parade, Drew Emmitt and Danny Barnes, Cornmeal, and the legendary Del McCoury Band. The event will take place, rain or shine, right outside the Terrapin Brewery starting at 5 p.m., but be sure to get there early to get a good view. This is a great family event, and any children age 10 and under get in free! Bring your folding chairs, but leave the coolers at home - there will be concessions, including your favorite Terrapin beer, for sale. 2. If you&apos;re a foodie like me, you will absolutely love visiting the Athens Farmers Market this Saturday from 8 a.m. to noon. Head over to Bishop Park Saturday morning to peruse the freshest Athens-grown produce, sample delicious prepared foods, do some art and craft shopping, and enjoy the live music. They do accept debit and credit cards, so don&apos;t worry if you aren&apos;t in the habit of carrying around cash. 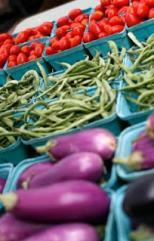 Support your local farmers and artisans, bring your grocery list, and beat the heat of the afternoon! 3. 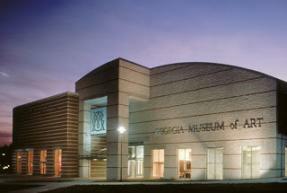 Haven&apos;t had the chance to visit the newly-expanded Georgia Museum of Art yet? This weekend is your perfect opportunity since they are holding a temporary exhibition to introduce the public to 3 of their 4 new Study Centers in the Humanities! Enjoy all the paintings, prints, drawings, photos, and letters; some of the archival materials on display are related to Alfred Heber Holbrook, the founder of the GMOA. The museum is open from 12-5 p.m. on Friday and Saturday and from 1-5 p.m. on Sunday. These are only three events out of many going on in Athens GA this weekend, however! Be sure to check out the following events if you&apos;re looking for more experiences to pack into your holiday. Music lovers should look into an Evening of Motown and R&amp;B at The Melting Point this Friday. The Splitz will be bringing their fun and funky stage show to Athens; this all ages event should not be missed. Get there before 9 p.m. and bring your dancing shoes! Looking to enjoy the great outdoors? Join the free Naturalist&apos;s Walk from 10-11 a.m. on Saturday. Go to the Sandy Creek Nature Center and ENSAT Center for a refreshing hike around the property. Don&apos;t forget your binoculars and cameras! If you&apos;re trying to find something different, check out the Classic City Rollergirls Hollerin&apos; Hootenanny on Saturday night. This night of fun and entertainment includes games, music, and dancing for only $3. It starts at 9:30 p.m. at the Little Kings Club and lasts all night. Don&apos;t miss out on the Watermelon Seed Spittin&apos; Contest! Hopefully, you can now start planning for your weekend for fun. If you already have plans, I would love to hear about them! Where are you going and what are you planning to do over the coming weekend?